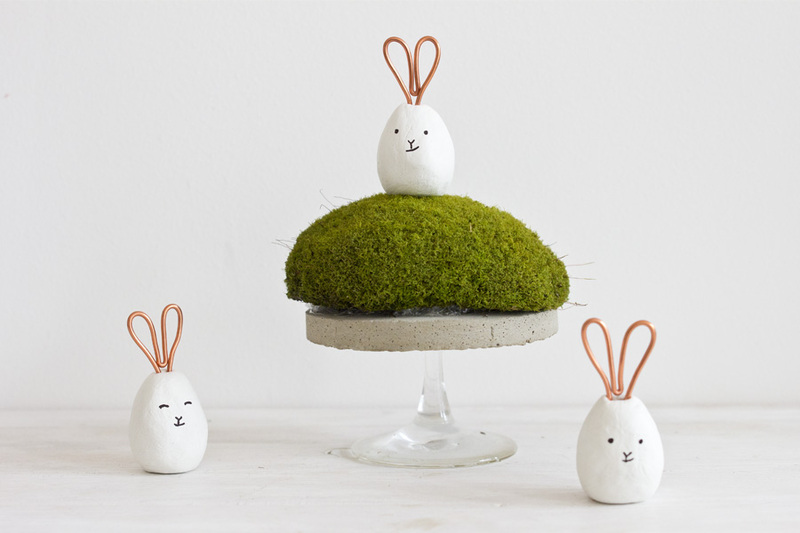 You might remember this DIY of mine for the concrete and copper Easter bunnies. They’ve been a big hit and had quite the resonance on the Internet. They are cute, I get it. However, I wonder how many really made them themselves as working with concrete is not in everybody’s comfort zone. So when Staedtler asked me if I’d like to recreate it with FIMO, I jumped at the opportunity. 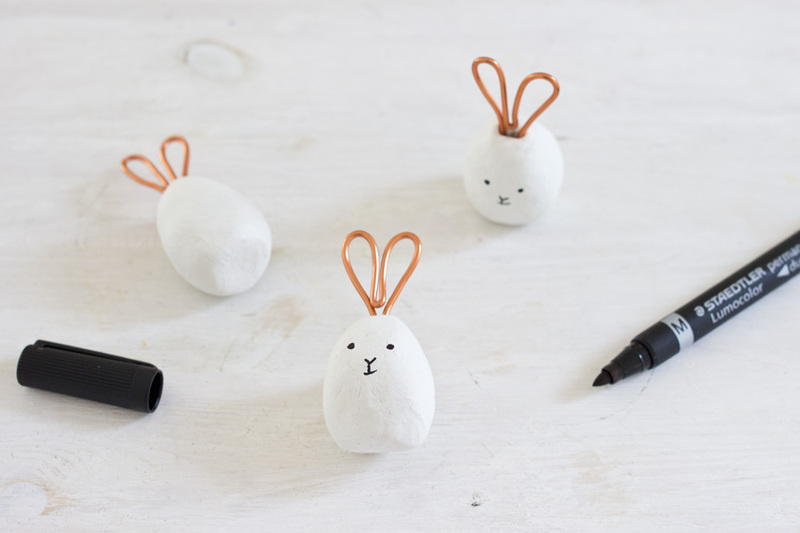 With their air dry FIMO, it’s a walk in the park to make these Easter bunnies! I already made 10 of them in a crafty afternoon (if you don’t count the overnight drying time) – when working with concrete would only had left me with like four finished bunnies in the same time. 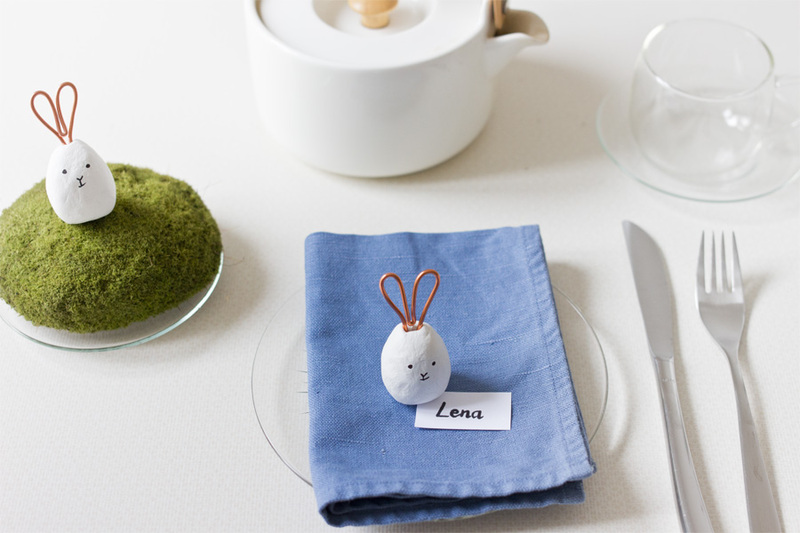 All you need for this is air dry FIMO, copper wire, a permanent marker. This is also great to make with kids as it’s really easy. 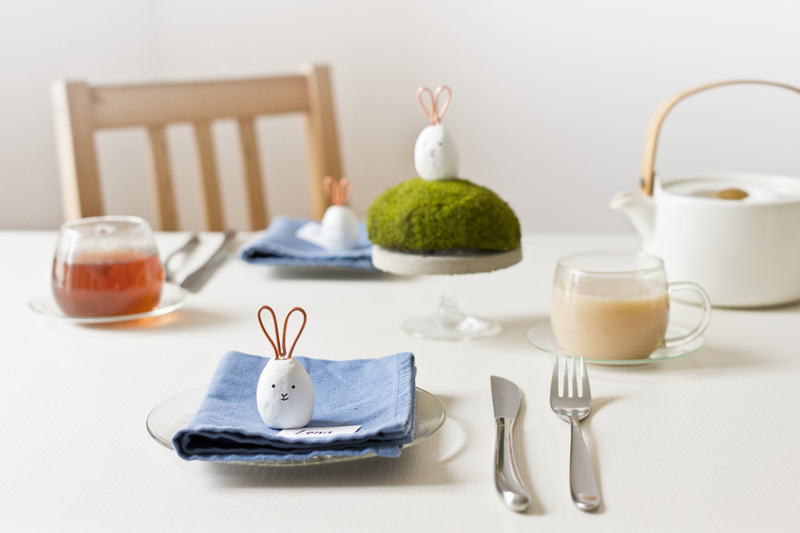 You can find the whole tutorial for these Easter bunnies here.